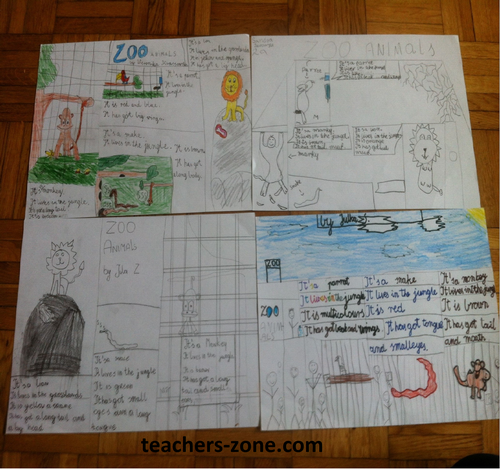 To practise animals vocabulary your students can make a 'Trip to the zoo' poster. It is brown and it has got a long tail. To introduce vocabulary use zoo animals flashcards or animal posters and for more practise print zoo animals worksheets.